A few weeks ago the Palais de Tokyo reopened its enormous doors. And they remained open for 28 hours straight. 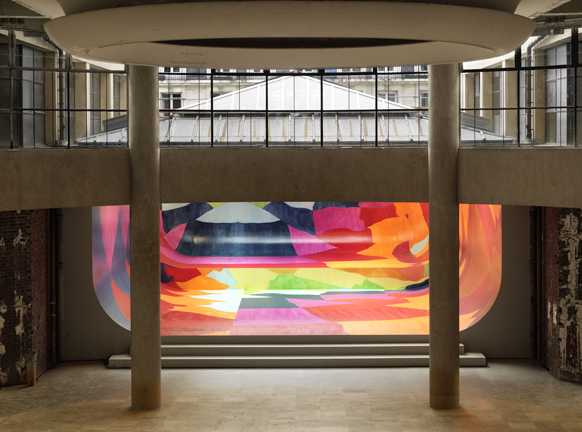 The extended free access – complete with eclectic round-the-clock programming – was the first glimpse at a major expansion project that adds 14,000 sq m to an already impressive destination for contemporary art in Paris. Interestingly, the expansion was not a new build; rather it was an existing space, dating back to 1937, that had been closed off from the public for three decades. The architecture firm of Lacaton & Vassal was responsible for the overhaul, which primarily focused on filling the cavernous lower level with natural light from clerestory windows and adding a train station-style glass roof to the main gallery. Unlike most cultural spaces in Paris, which are funded by the city, this one was supported by the French state. In French a makeover is known as a ‘re-looking’, and this strikes as a better, if not more conceptual, way to understand the recent changes as the Palais de Tokyo still comes across as very much unfinished. A massive suspended sculpture by Peter Buggenhout, incorporating twisted bits of metal and other industrial materials, appears as if it’s a remnant from the construction, preserved for posterity. Walls are still unpainted and it was unclear whether a pile of timber, cordoned off by caution tape, was rubbish or an art installation (likely the former). The Palais de Tokyo will officially open on 20 April, with ‘Intense Proximity’, a Trienniale exhibition. A second restaurant to complement the existing café, Tokyo Eats, is forthcoming, as is a 400-seat screening room. “Django Unchained” Oscar worthy moments!